Simple. Simple is how I would summarise the Misfit Phase but not simple in a bad way, simple in a good way. 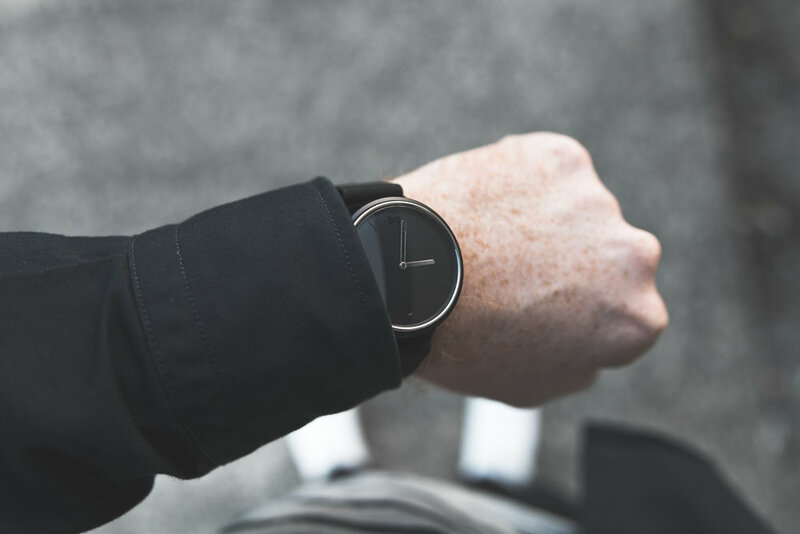 At first appearance the Phase looks like a normal analog watch, a good looking analog watch, but contains enough tech to give you what you need. I have been using the Phase pretty much everyday for the last two or three weeks and have become a little bit obsessed with the stats it gives, not so much the step count or distance but more the sleep monitor. Its amazing that the watch can accurately tell when I go to sleep and when I wake without me doing anything. The range of notifications is limited but good. I have mine setup with notify me of calls, texts, Facebook Messenger and Gmail, which is shown by a small dial at 6 O'Clock which rotates to a corresponding colour. Once you memorize which colour is which its really good to know what that vibration was by looking at your watch, it does not work as well at night however. I have taken my text and call notifications a step further in that the hands will point to a number so I know who is calling or texting. Other useful functions include using watch buttons to skip or pause music, take a selfie or my personal favourite using the watch to ring your phone when you cant find it in the house. There are also some more advanced options to create customs using an external app. To be honest I'm stoked with this watch and Misfit as a brand, this was my first experience of their products and from the packaging to product they have delivered. Having simple changeable bands is nice and the app is simple but works well. Look forward to checking out the Vapor when it releases. Scroll down for images or check them out below.